collected and published by the Wine Advisory Board, San Francisco, first printing, 1963. 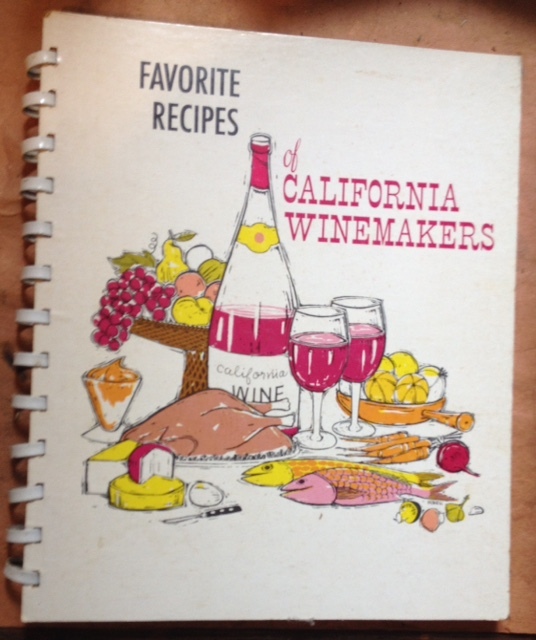 A snapshot of California food and wine culture in the '60s. More than 200 individuals connected to California vineyards offered recipes, from Brother Timothy of Monte Le Salle vineyard in Napa to Cesare Vasi of the Cucamonga Vineyard Co. to Karl Wente of the Wente Brothers Vineyard to Mrs. Robert Mondavi of the Charles Krug Winery in St. Helena. They offer up everything from Burgundy Baked Rabbit to Duck Au Vin to Veal Tongue Braised in California Sauterne to Sherried Peach Pie. 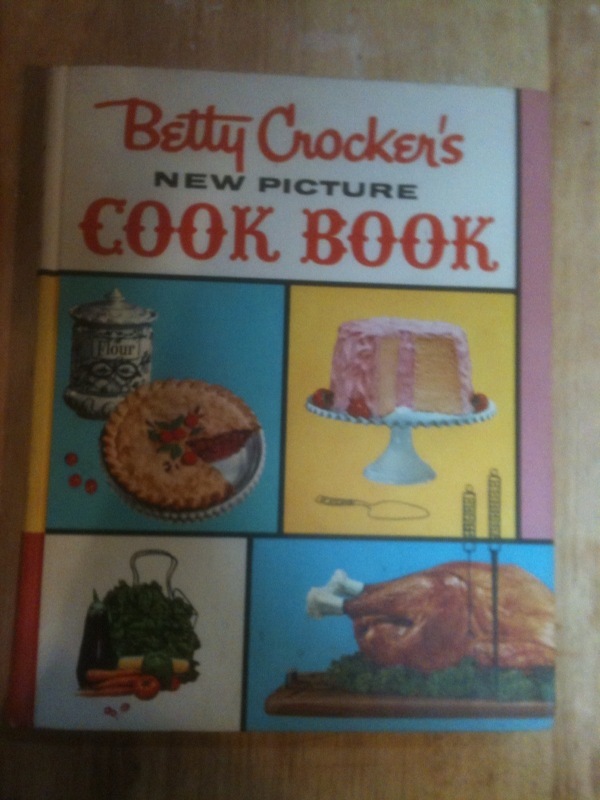 Hard illustrated covers, white comb binding. Condition: VG+.